The state reptile of Texas is the Texas horned lizard. 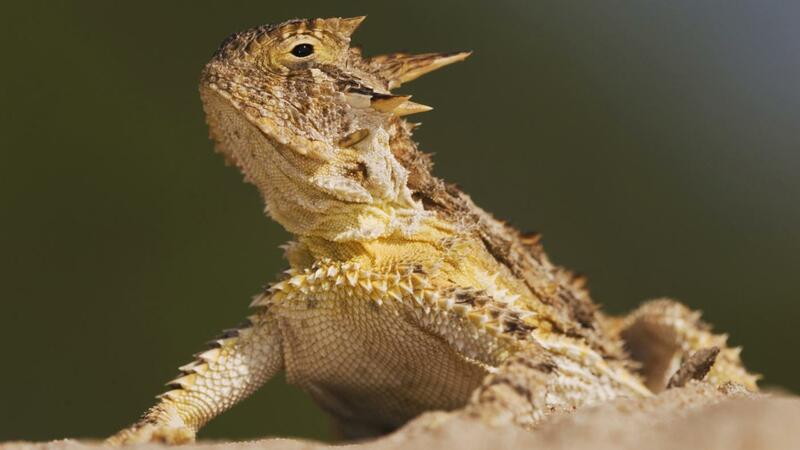 The Texas horned lizard has an average length of about 2.7 inches, but females can get up to 4.5 inches long. The Texas horned lizard is sometimes referred to as the horny toad or horned frog, despite being a lizard. The Texas horned lizard is the largest of the 14 horned lizard species found in the western United States and Mexico. The diet of the Texas horned lizard largely consists of harvester ants, but the reptile also consumes termites, beetles and grasshoppers. In addition to being the state reptile, the Texas horned lizard is also the mascot of Texas Christian University. What Are the Top Ranked Places to Live in Texas?